He’s won mainstream attention for his work with Kendrick Lamar, Radiohead and Erykah Badu, while pioneering the Los Angeles underground hip-hop scene. 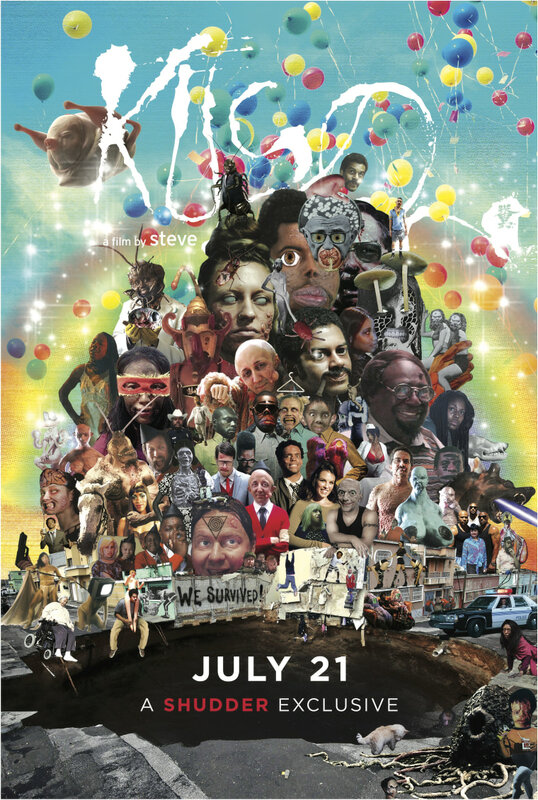 Now the electronic composer and producer Flying Lotus, also known as Steven Ellison, has released his first feature film, and it’s knocking audiences for a loop. In “Kuso,” the artist pushes new boundaries. Ellison’s post-apocalyptic fantasy imagines Los Angeles in the wake of a massive earthquake, its citizens plagued by strange viruses and even more bizarre biological phenomena. The mix of live action and animation includes appearances by comic performers Hannibal Buress and Tim Heidecker, and funk pioneer George Clinton, playing a doctor who plies a highly unconventional method to treat sexual phobias. The film, now showing on the horror-movie streaming service Shudder, won notice as “the grossest movie ever made” after its polarizing premiere sparked walkouts at the Sundance Film Festival in January. For Ellison, though, it’s both a reflection on the world around him and an intimate encounter with the weird ruckus inside his head. Living in Los Angeles, ideas for the film’s grotesque effects were easy to come by, like the D-list celebrities who work out alongside him at a Studio City gym. The film’s themes and extremes evoke some of Ellison’s favorite filmmakers, including John Carpenter, David Lynch, David Cronenberg and Japan’s Takashi Miike, edged in satirical commentary and original music from Flying Lotus, Aphex Twin, Busdriver and Thundercat. Ellison’s allies see something beyond shock value. Ellison, who dropped out of film school in the early 2000s to “make beats,” comes from a musical lineage. His aunt was Alice Coltrane, the composer and wife of the legendary jazz saxophonist John Coltrane. His interest in film was encouraged as he worked closely as a composer with experimental filmmakers such as Kahlil Joseph (“Until the Quiet Comes”), Alma Har’el (“LoveTrue”) and Terence Nance (“An Oversimplification of Her Beauty”).